The bill passsed largely due to the inherent corruption of the US political system, as the wording was modified to allow for weaponized drones and approved “thanks to a last-minute push by a … lobbyist representing law enforcement—tight with a booming drone industry”. The Republican who originally proposed the bill had written it to ban all weaponization of drones, and he was dismayed that it ultaimately passed in a form that allows non-lethal weaponization. 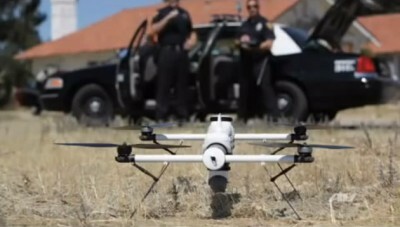 Police claim the drones will only be used in “non-criminal” situations, such as surveilance, but did not mention that they have already been used in at least one criminal situation, or that the claim is dubious at best given the ultra-militarized and brutal state of policing in the US, which many, particularly those in ethnic minority groups, liken to military occupation. A police deputy, explaining why he opposed requiring search warrants for use of drones, told Daily Beast that “you don’t want things that would potentially have a chilling effect on [drone] manufacturers”. “It’s really all about the commercial development,” said Republican rep. Gary Paur. Of course, there is a bit more to it than that, as numerous US crackdowns on pro-democracy protesters, including mass arrests of civilians and journalists, demonstrate.